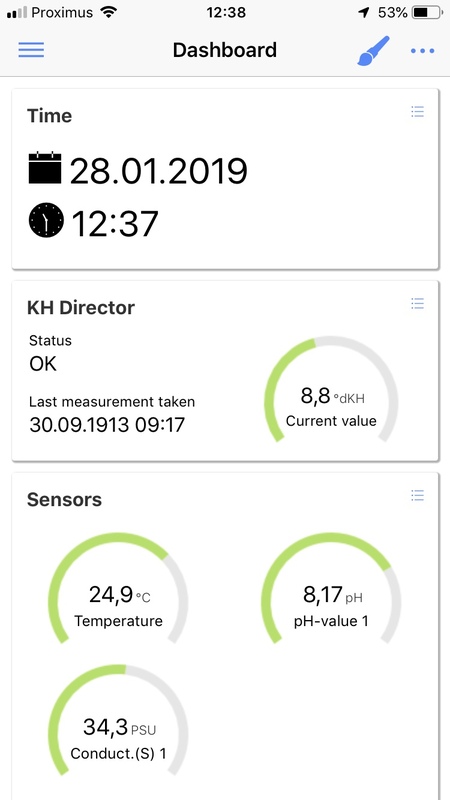 Date and time of KHDirector are not the same as date and time of profilux it self. it seems your app isn't up to date. The notification icon is missing on your screenshots. Please update the app and check for the date again. The months displayed in russian will still be an issue with the current app version, but I will fix this within the next update. Ok, sorry. Then it's the ProfiLux firmware which isn't up to date (Notifications min. Firmware P3: 6.36, P4: 7.14). But the firmware shouldn't be the reason for this problem. Do you have access to a Windows PC or a Windows VM? 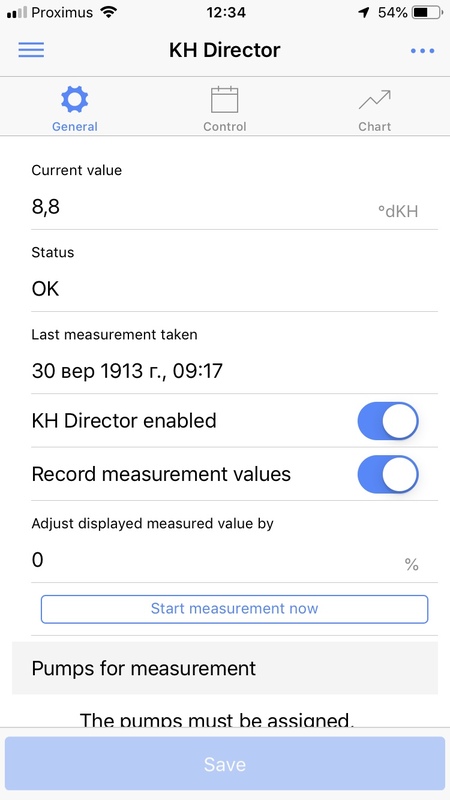 Then please check if the date is wrong in GHL Control Center, too. I Will check this tonight after work. Will probably need a firmware update since it has been a while. Firmware update was the way to go.